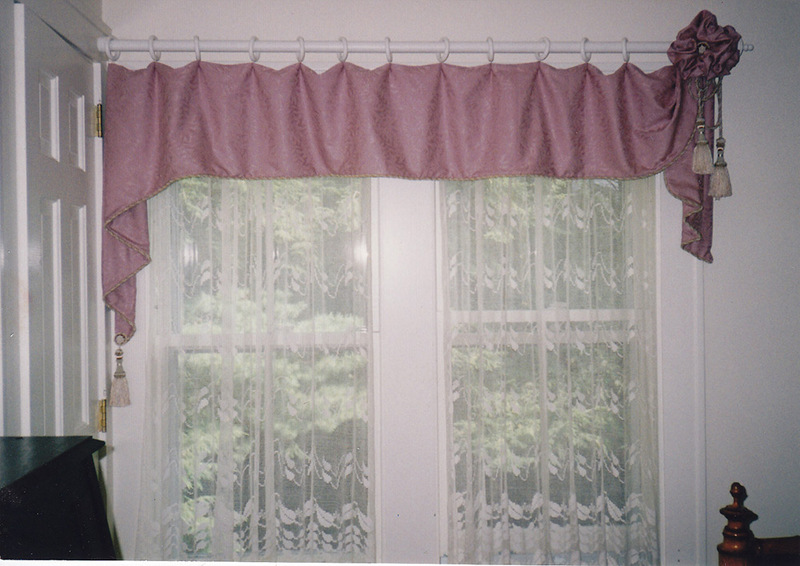 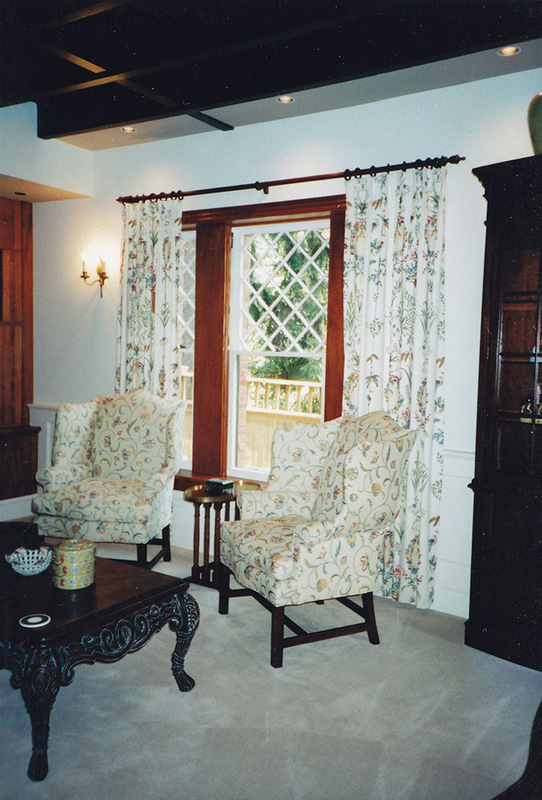 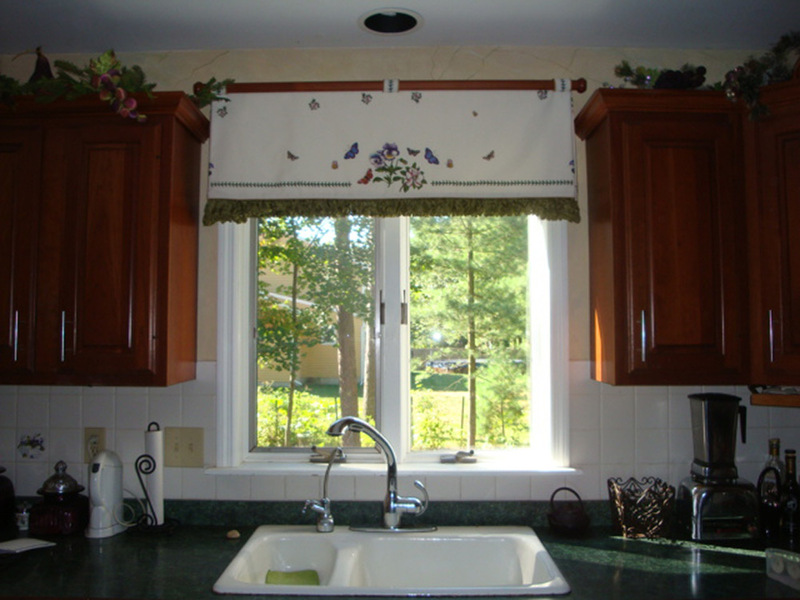 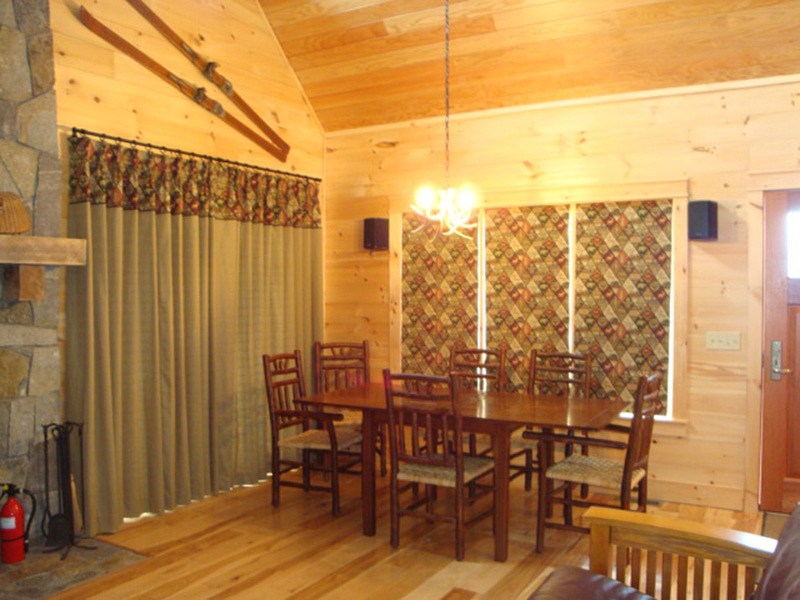 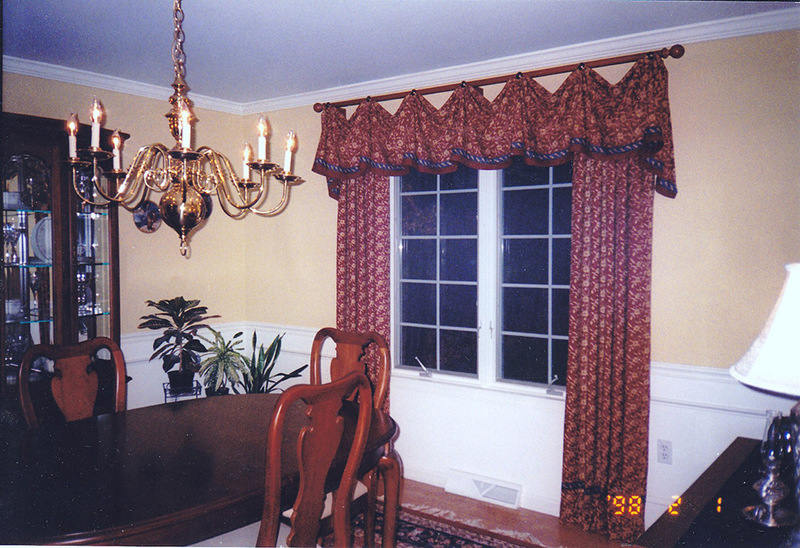 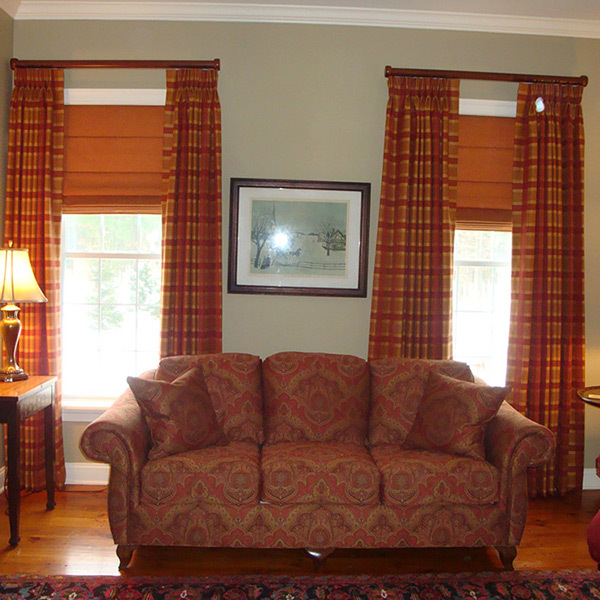 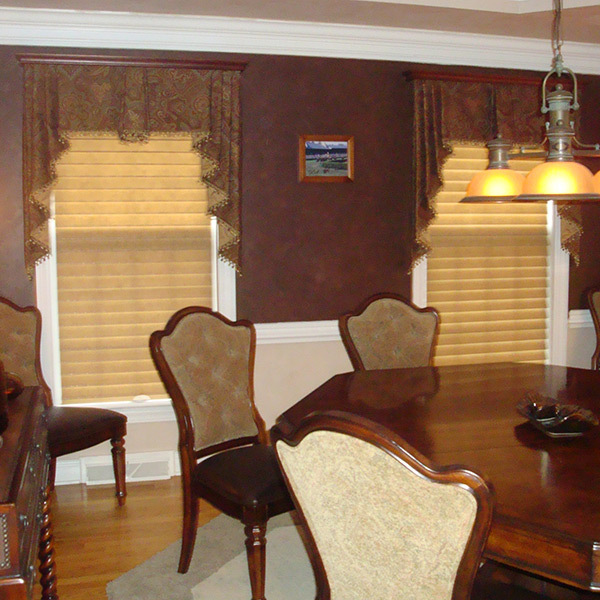 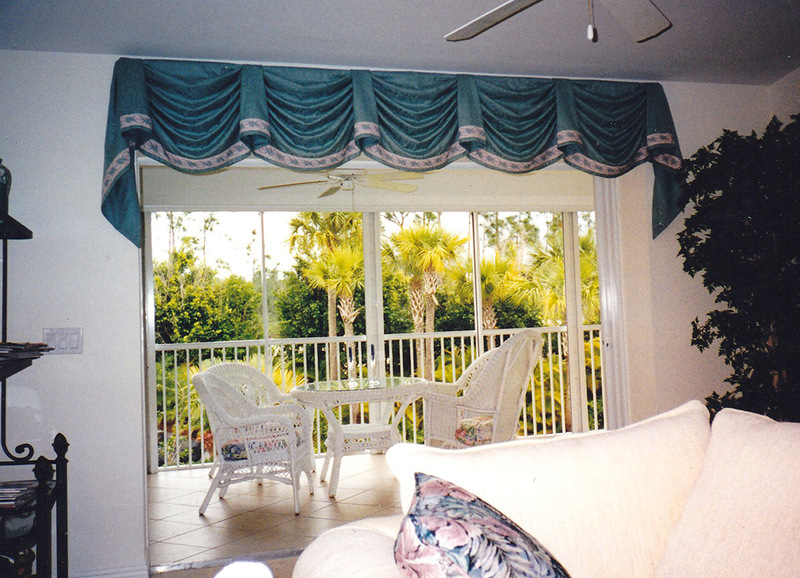 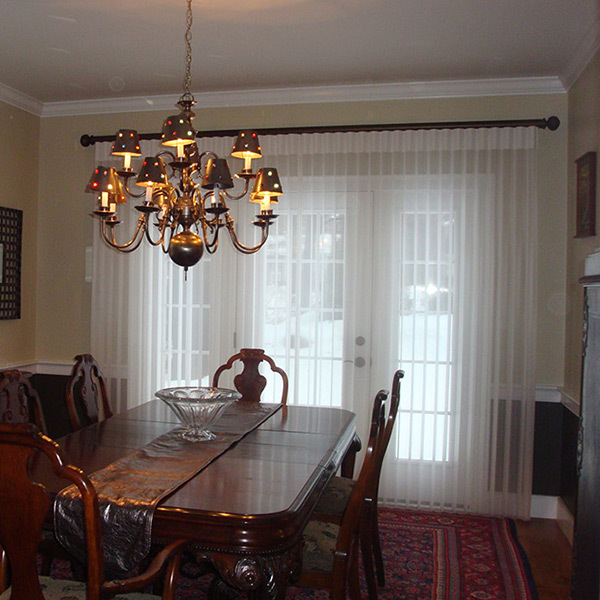 We can enhance the design and decorating style you have chosen for your home’s décor by carrying that same style through to your window treatments. 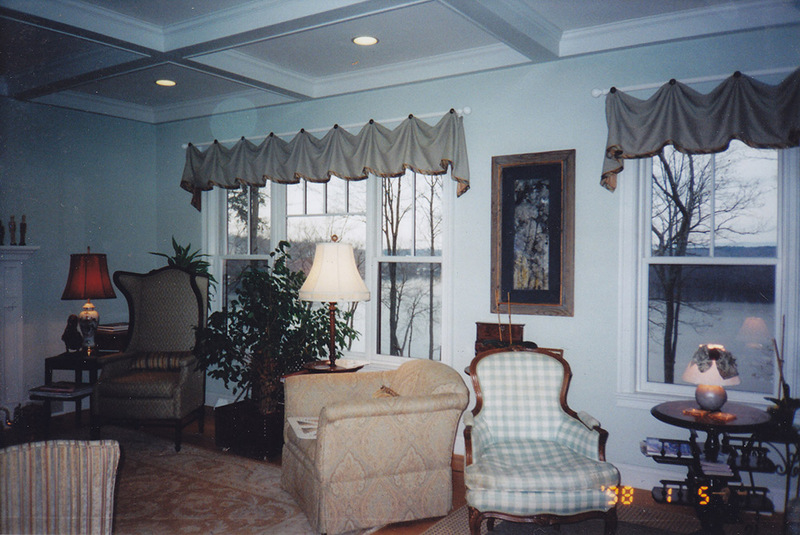 The shape they take, the fabric and trim you choose, the color and texture you select, and the hardware which holds it all up, are all elements that contribute to the overall style of your finished room. 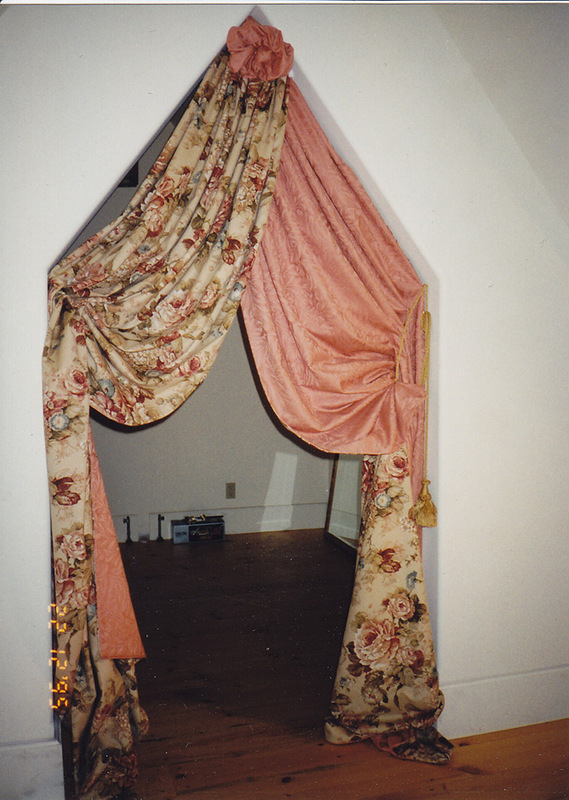 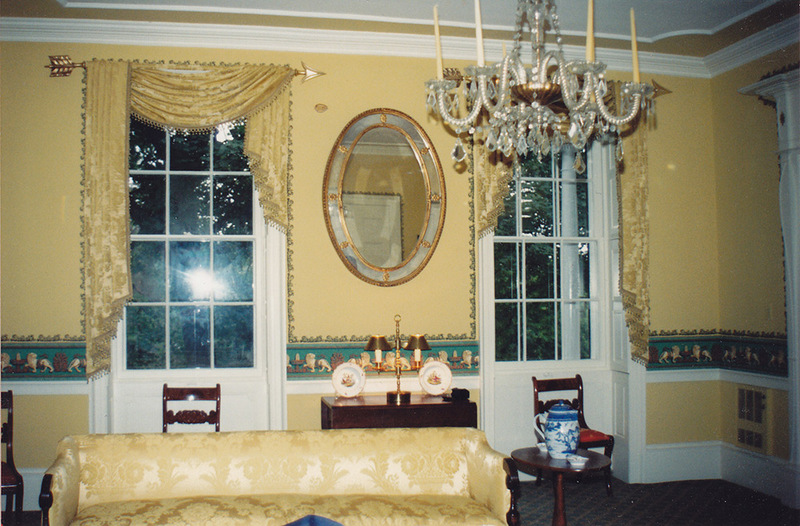 That said, this is where drapery and window treatment design can get tricky! 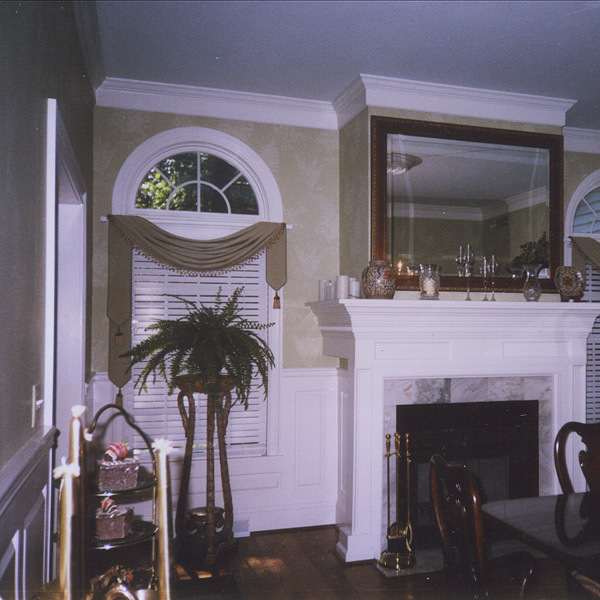 It is the combination of many elements that defines the style. 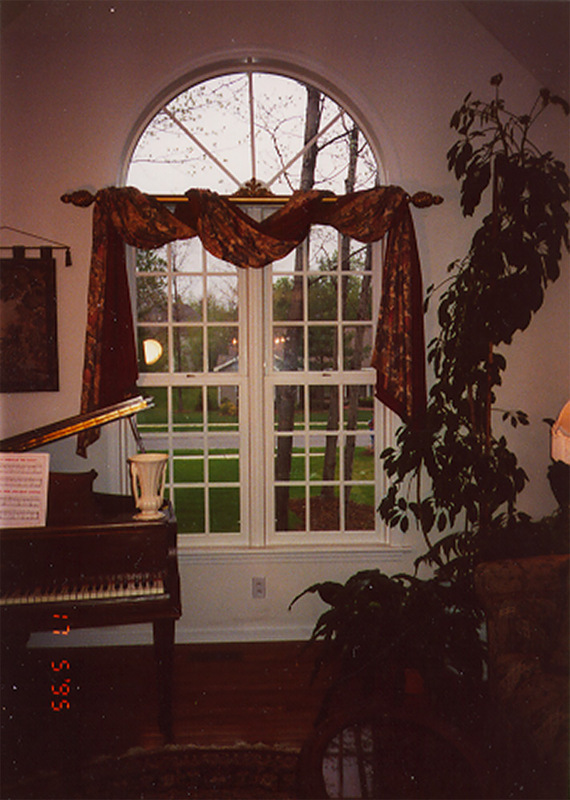 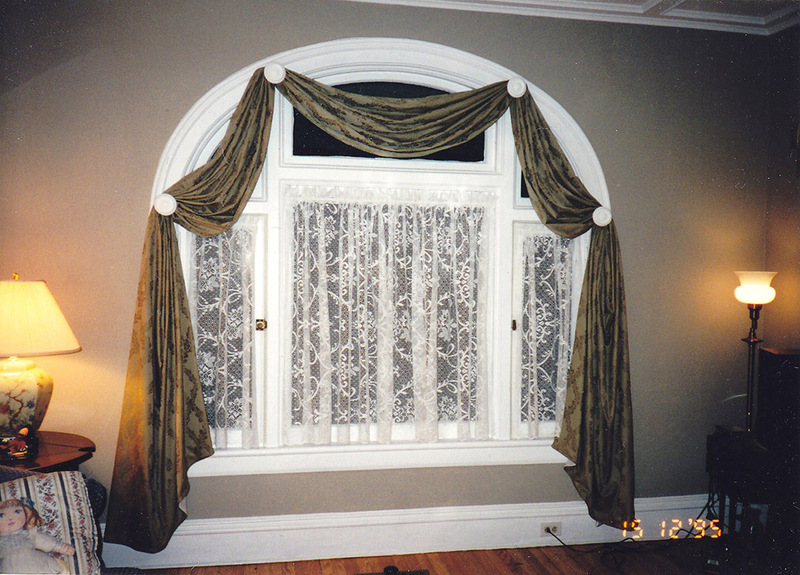 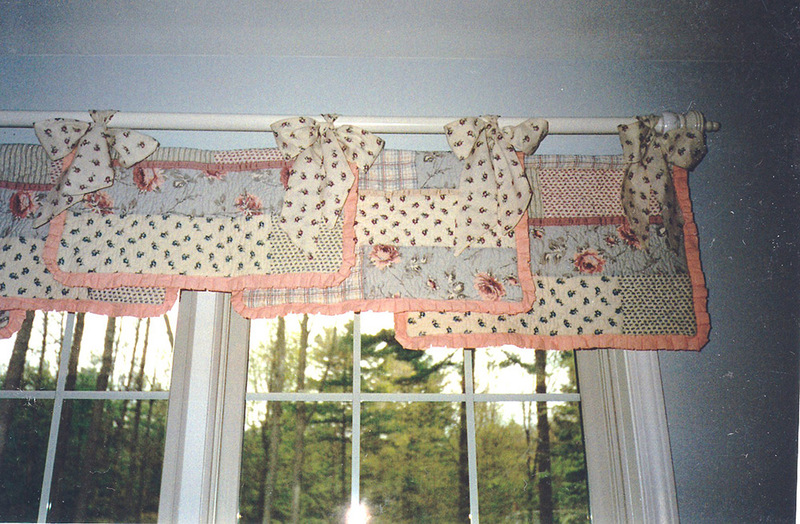 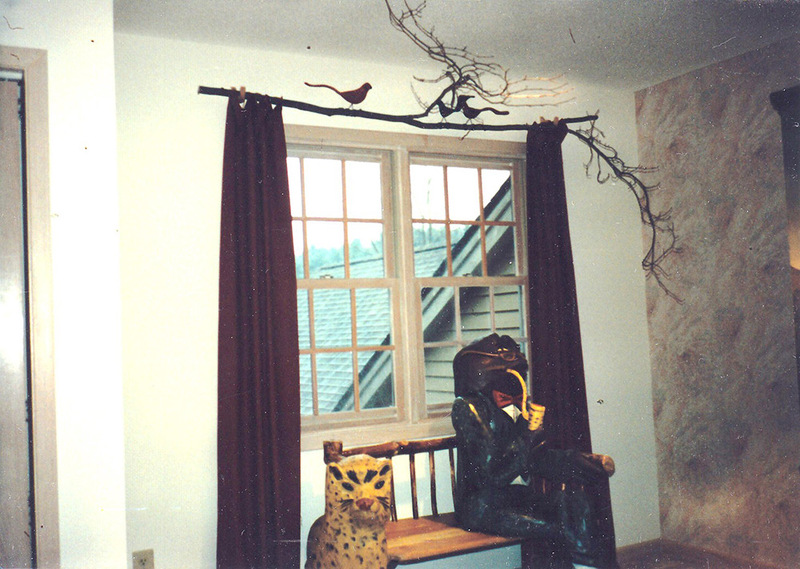 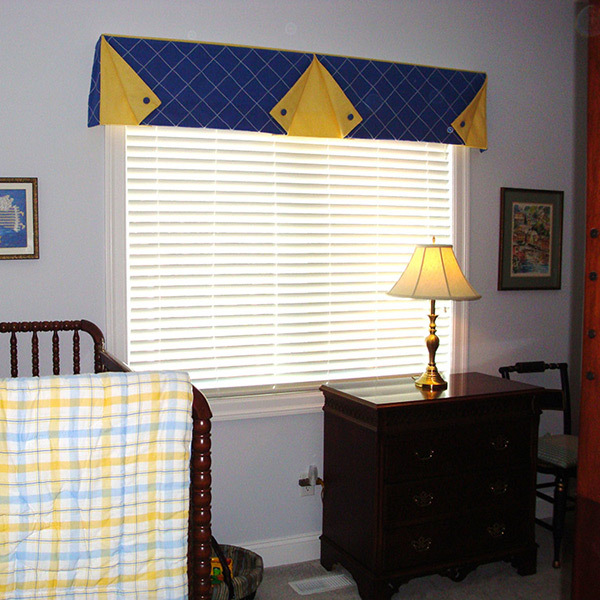 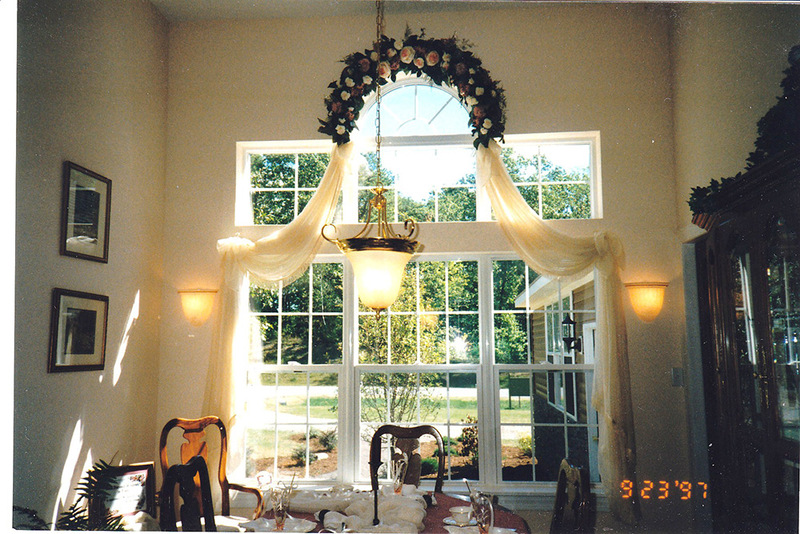 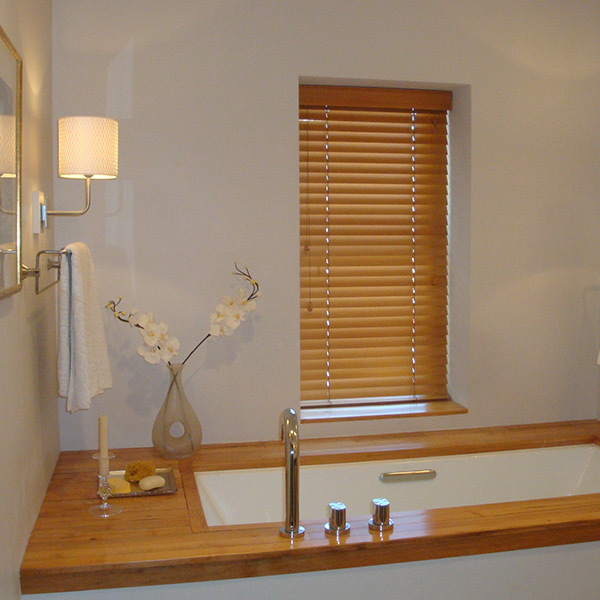 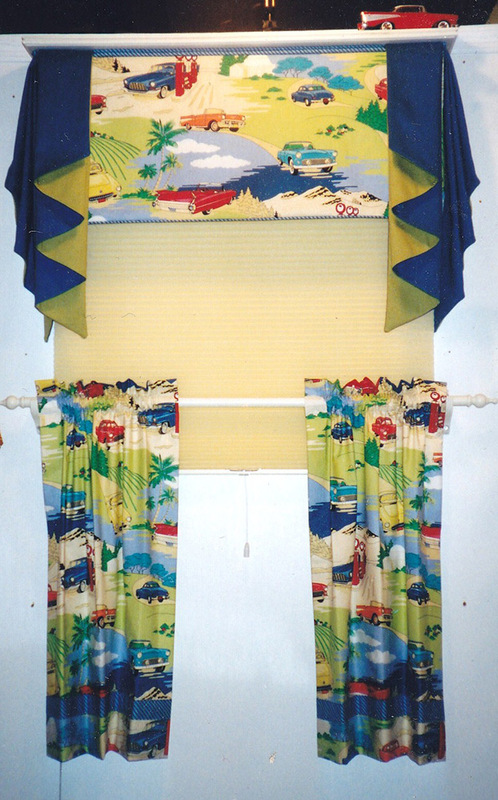 Asking Best Dressed Windows in Town to help guide you in your choices will open your eyes to new design possibilities. 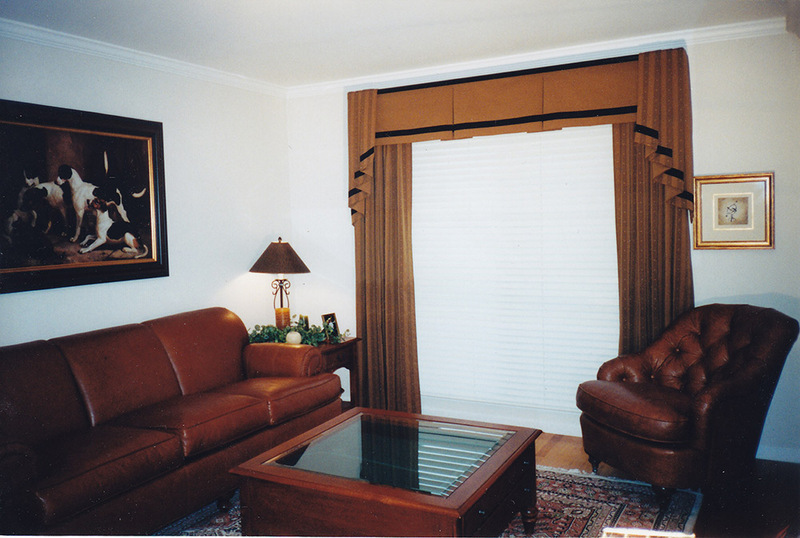 We will help you to narrow the field of materials and accessories to select those that complement your furnishings and style. 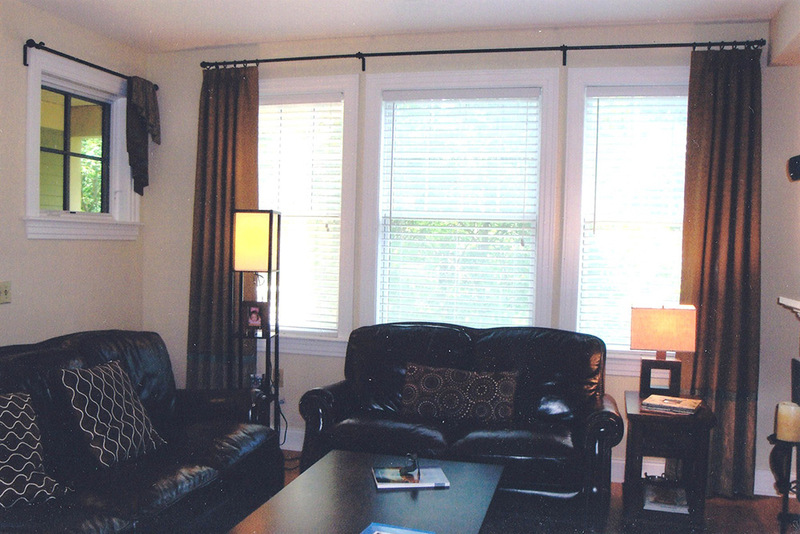 As you consider the many style choices available, here’s a visual reference showing you the possibilities. 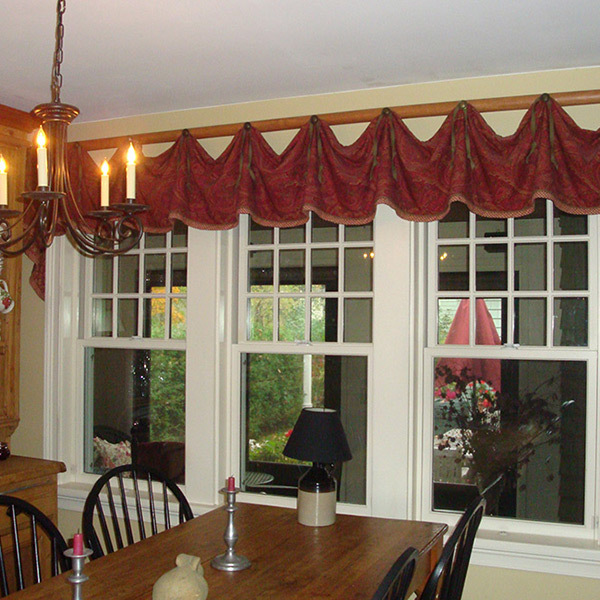 Don’t get locked into thinking that a shape must always be the same particular style. 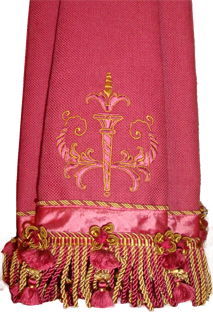 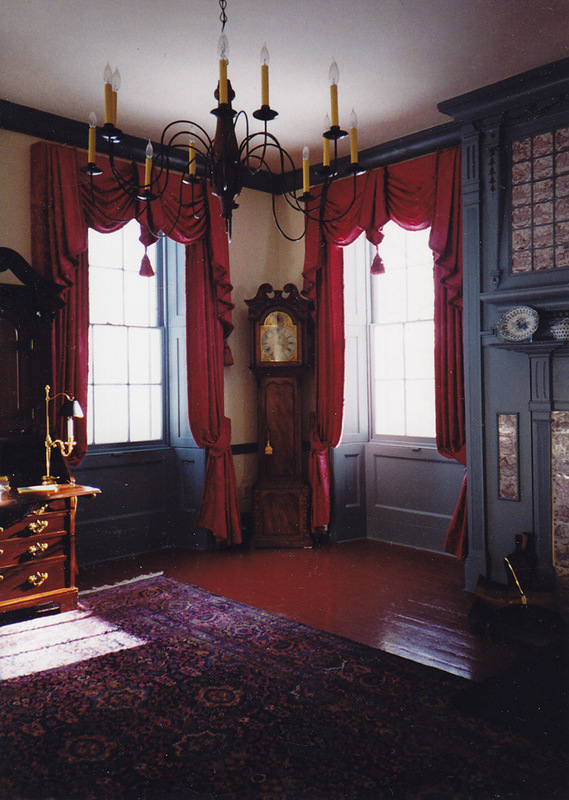 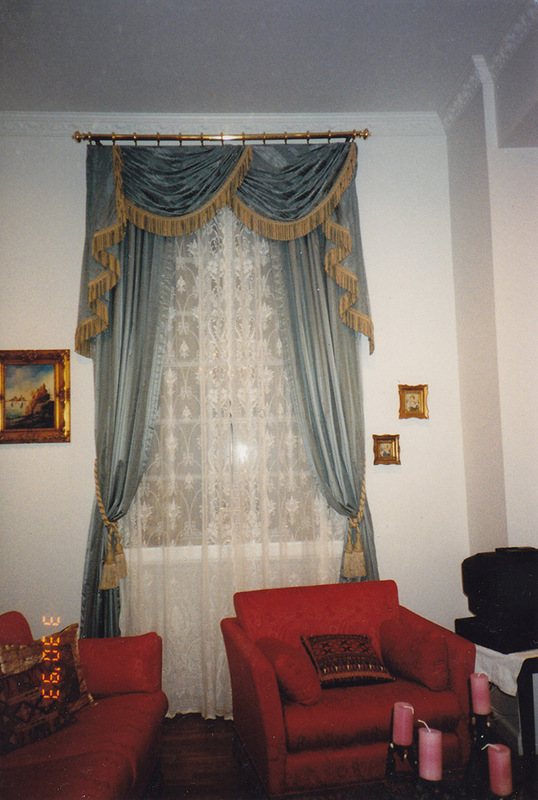 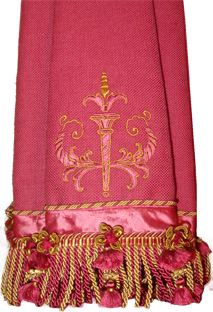 For example, people tend to think that swags are Victorian, but that is not always the case. 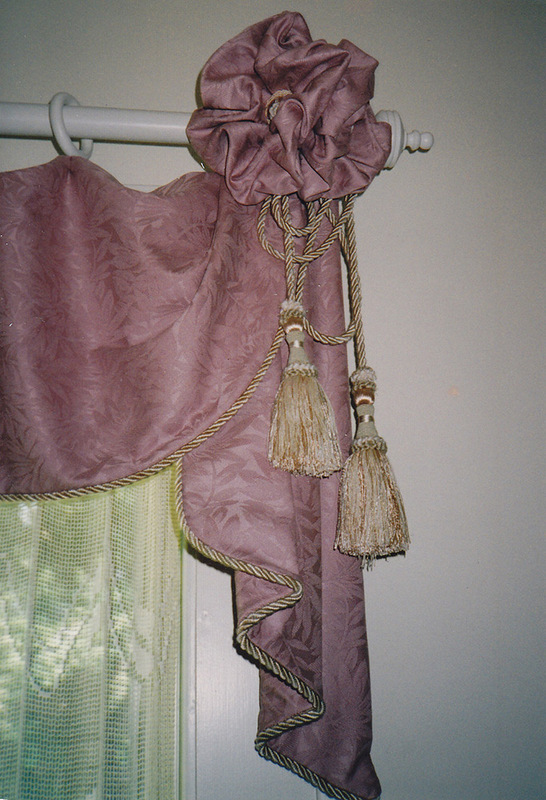 You can probably imagine the shape of Victorian swags and cascades: the fabric might be silk damask with bullion fringe trim. 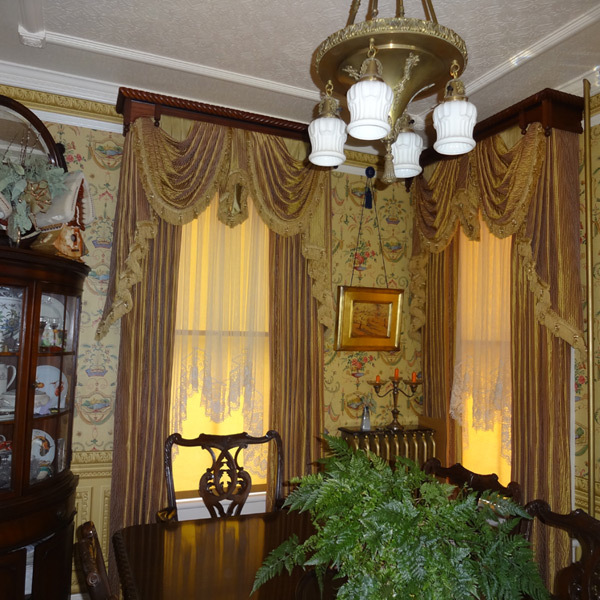 The color scheme might be red or gold, and it’s all mounted on a fancy gilded rod….that would be about as Victorian as you can get. 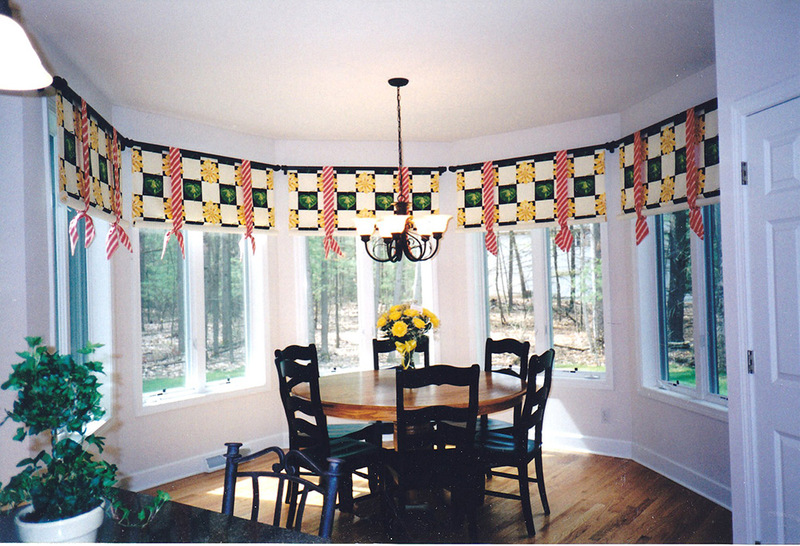 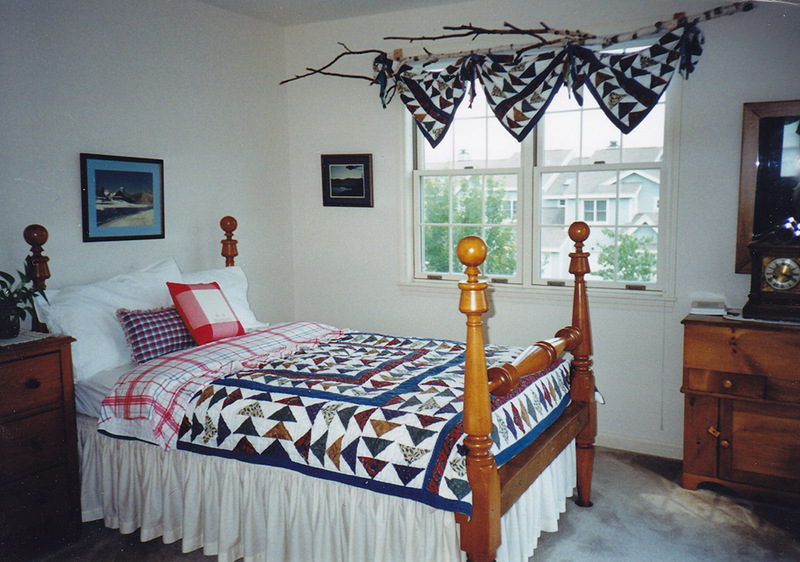 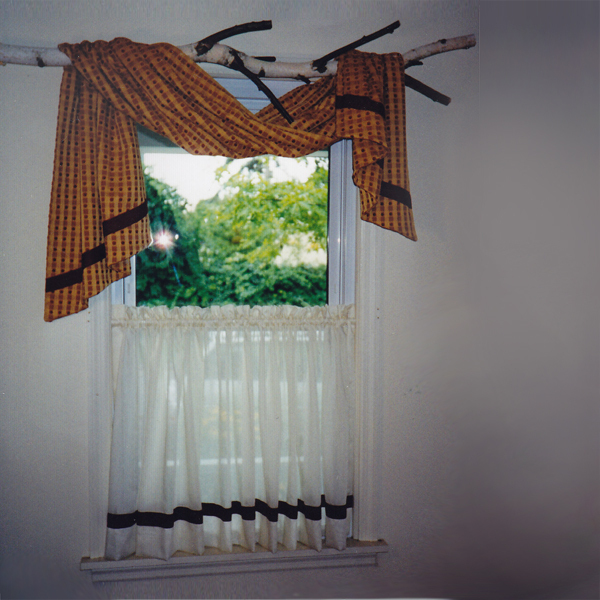 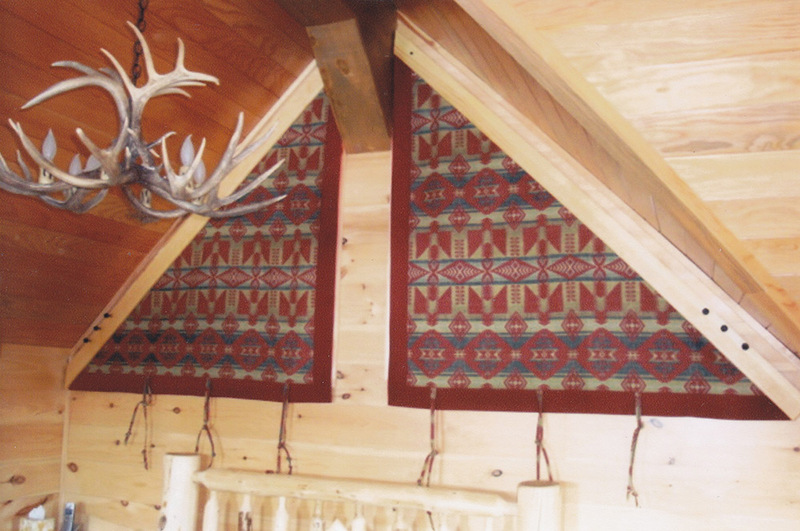 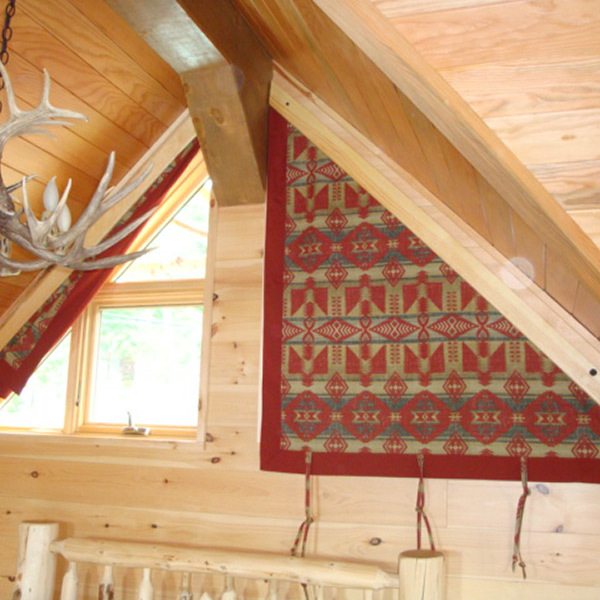 Now take that same swag and cascade shape, but use a cotton plaid fabric with a band of trim, the color is black and red, and mount it on a real birch pole. 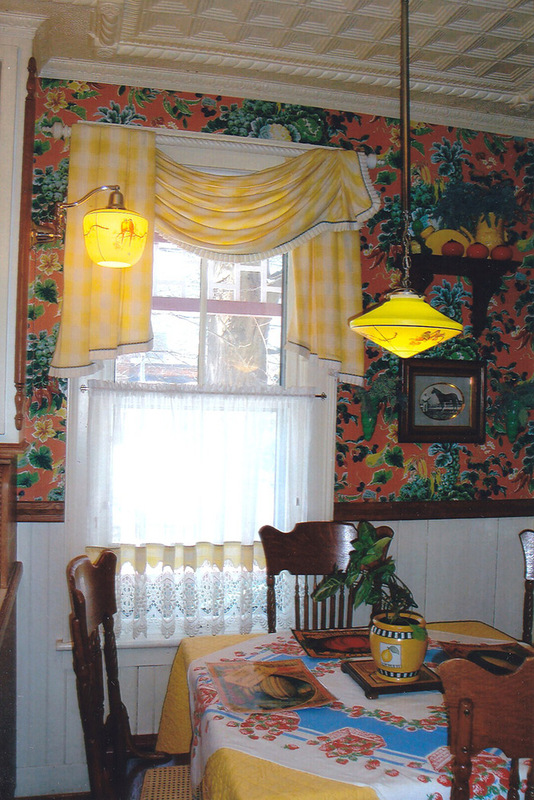 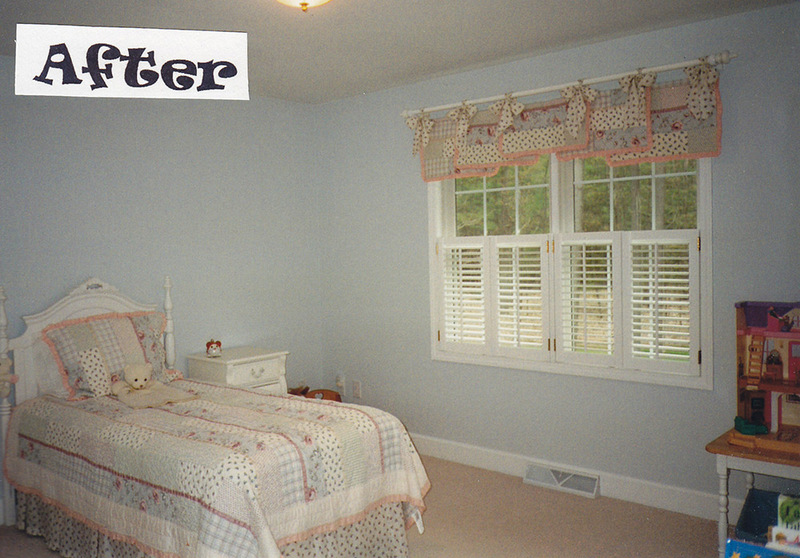 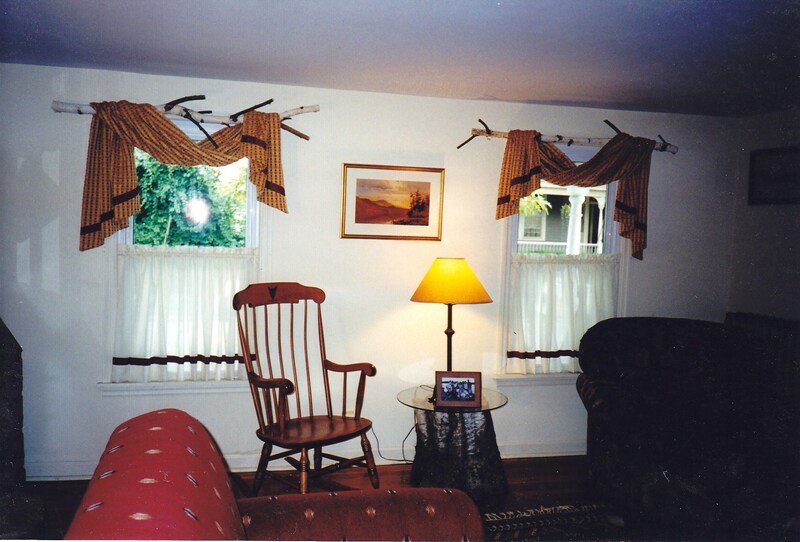 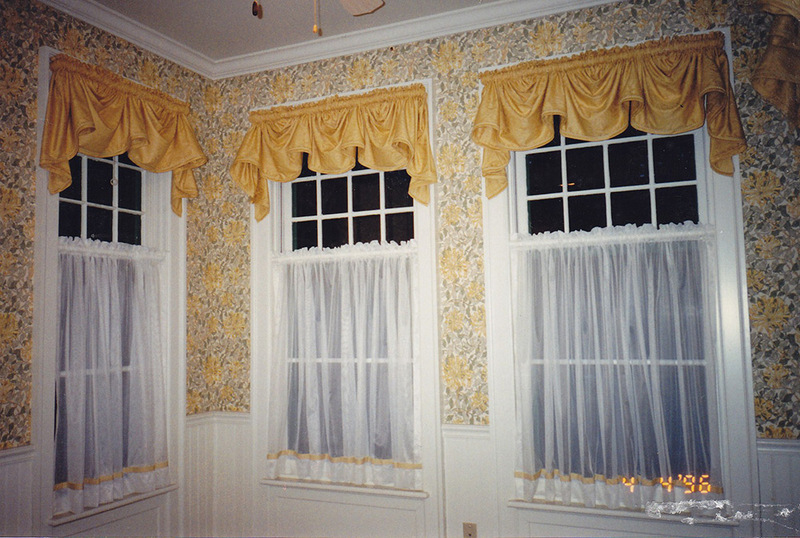 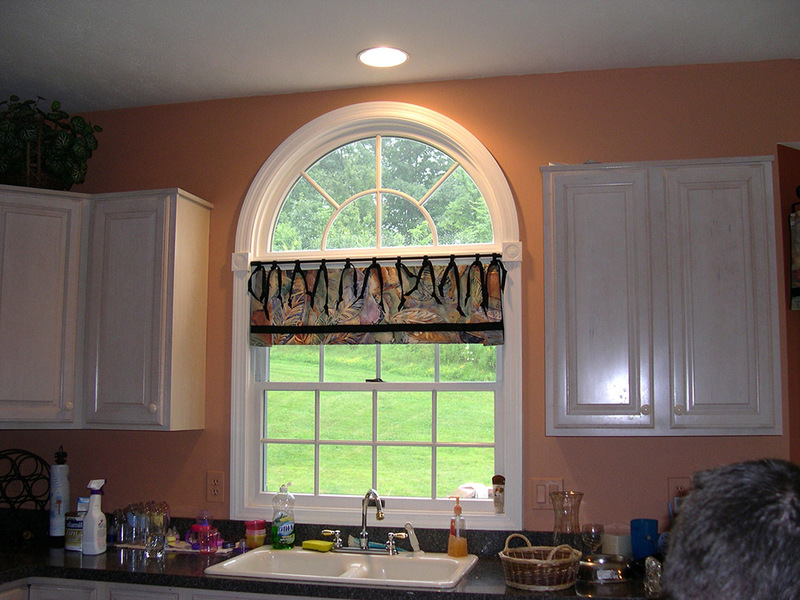 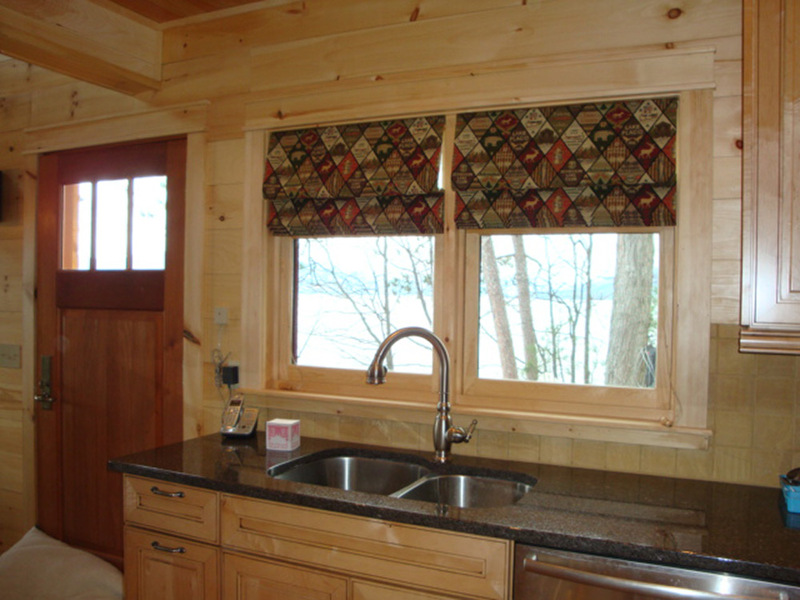 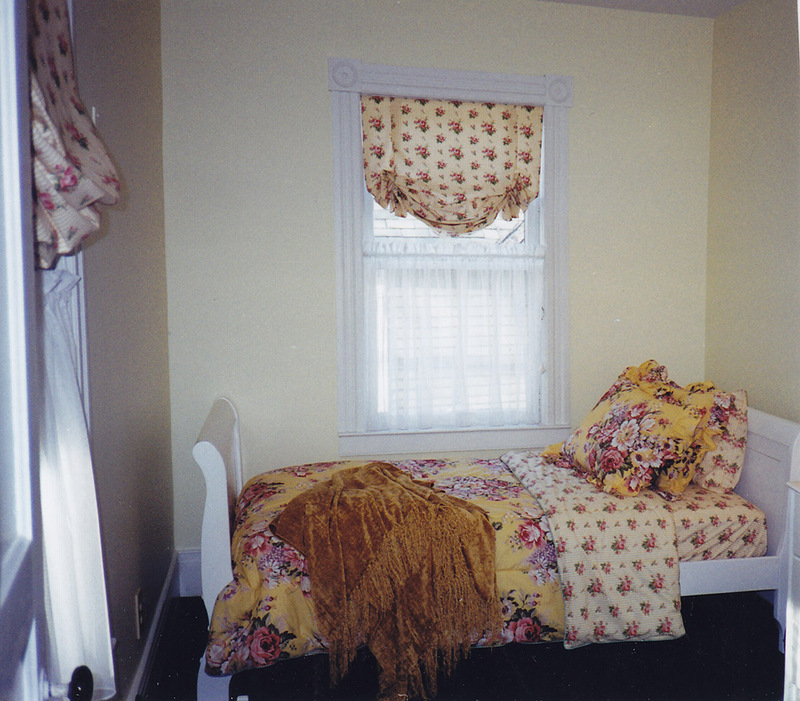 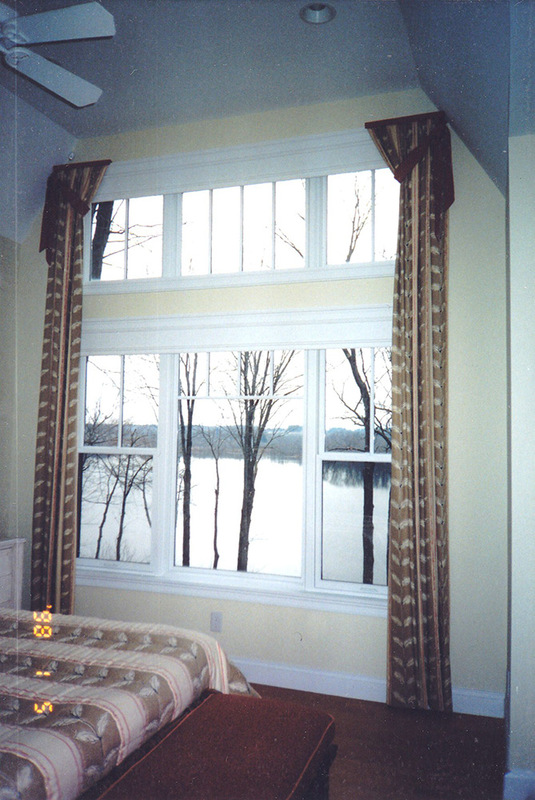 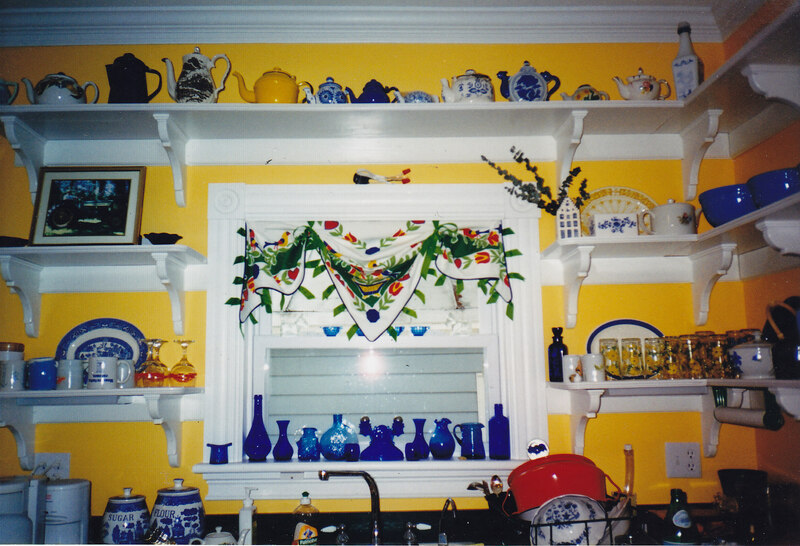 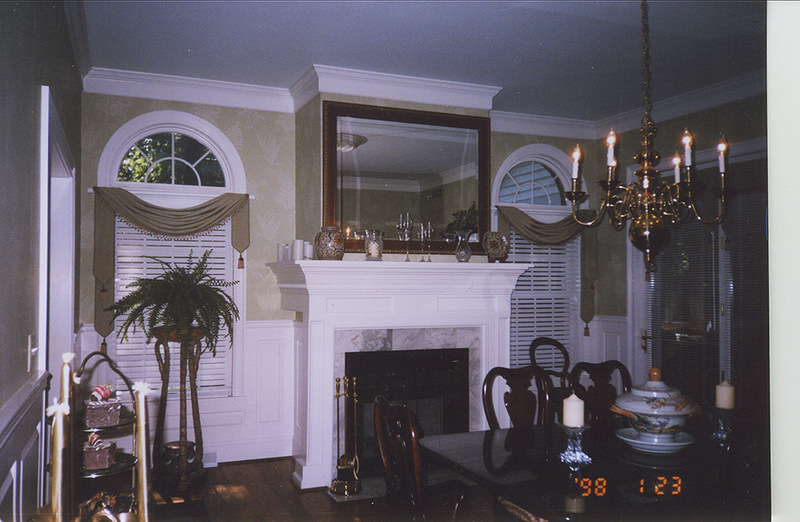 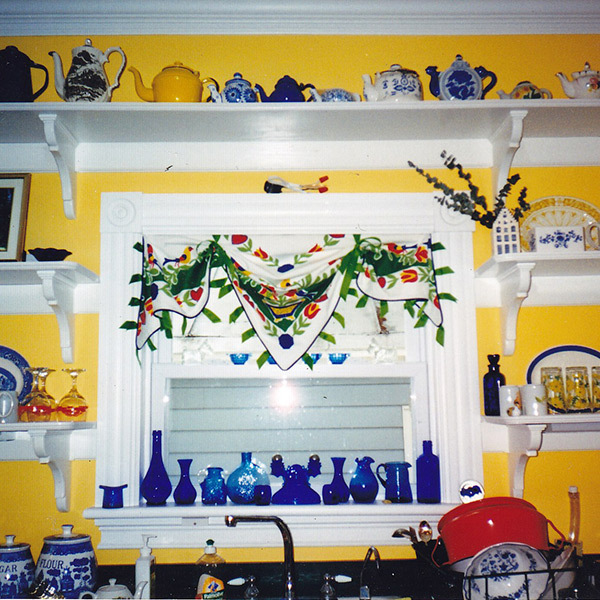 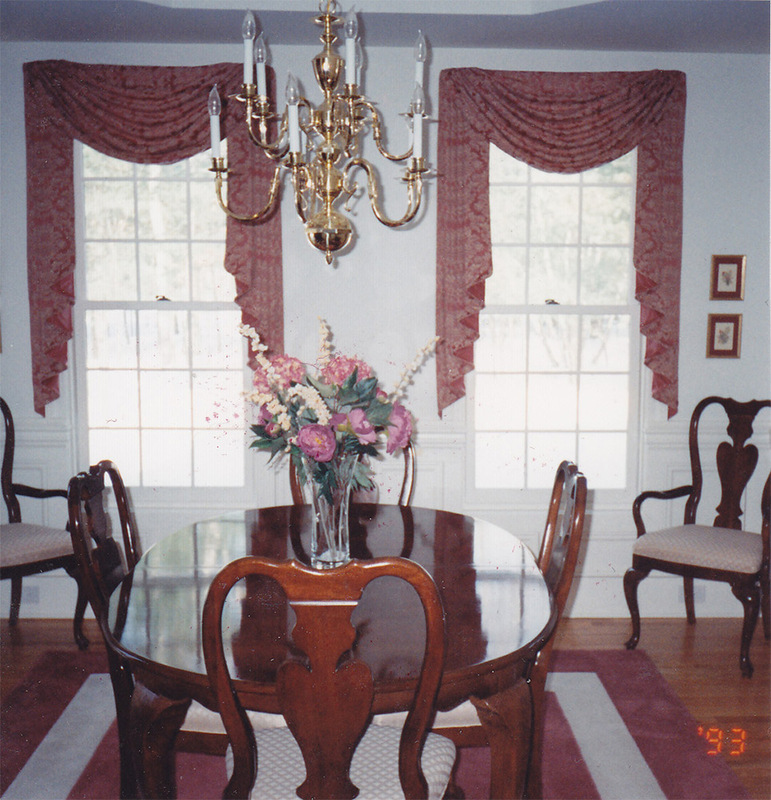 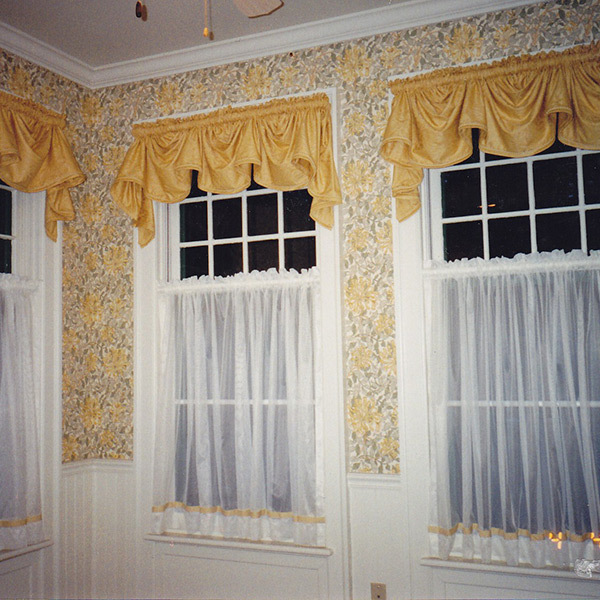 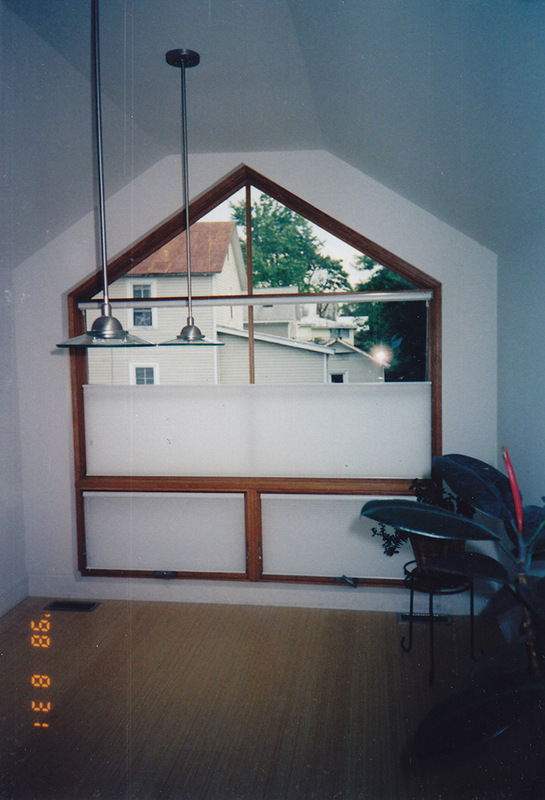 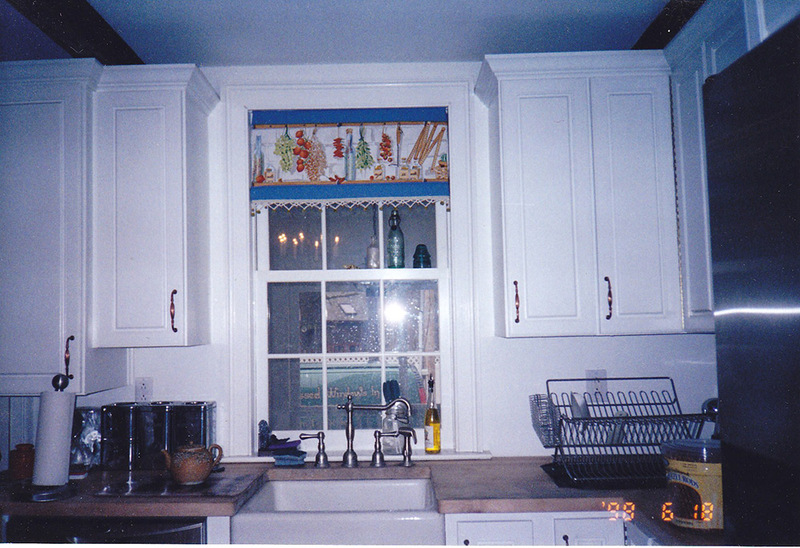 The shape has stayed the same, but everything else makes it an Adirondack style window treatment. 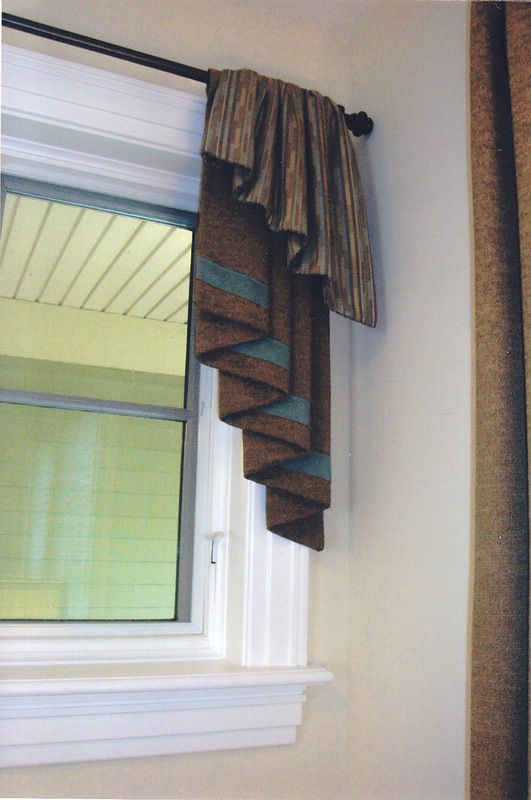 Can you visualize the shape of a pinch pleat drapery? 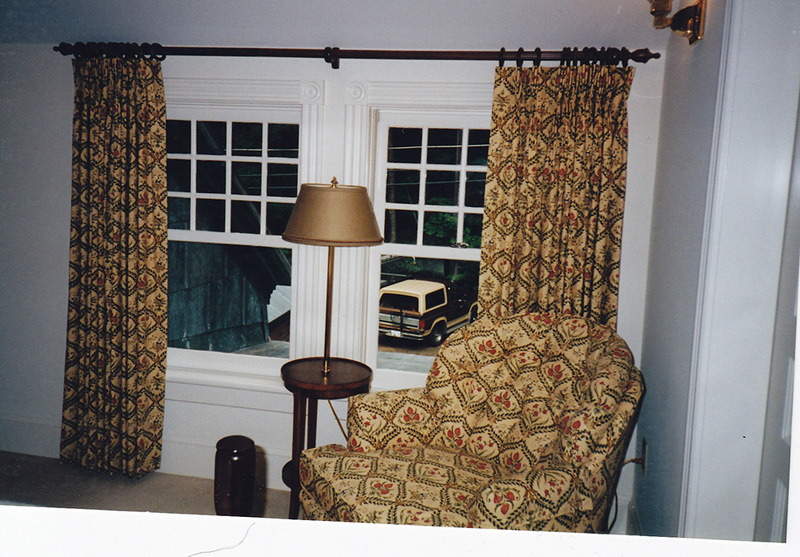 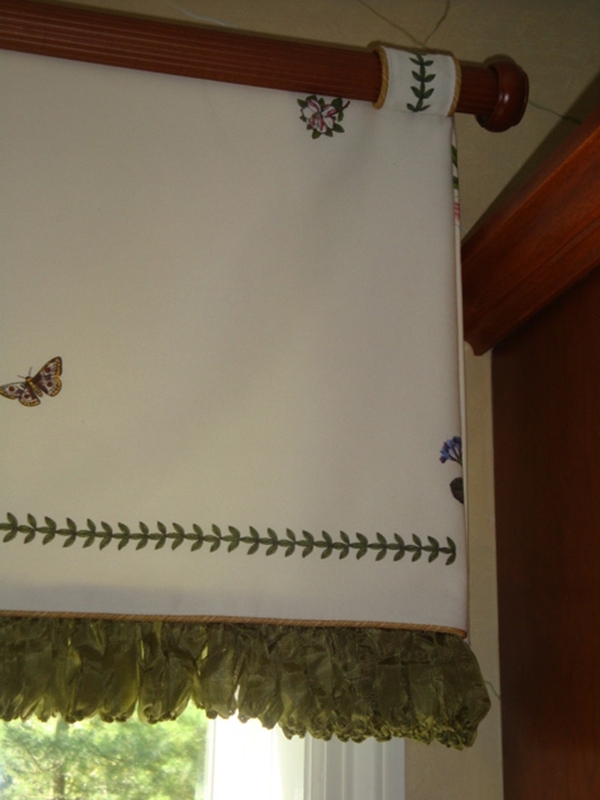 Make it out of a cotton print fabric and put it on a round traverse rod…that’s rather traditional, right? 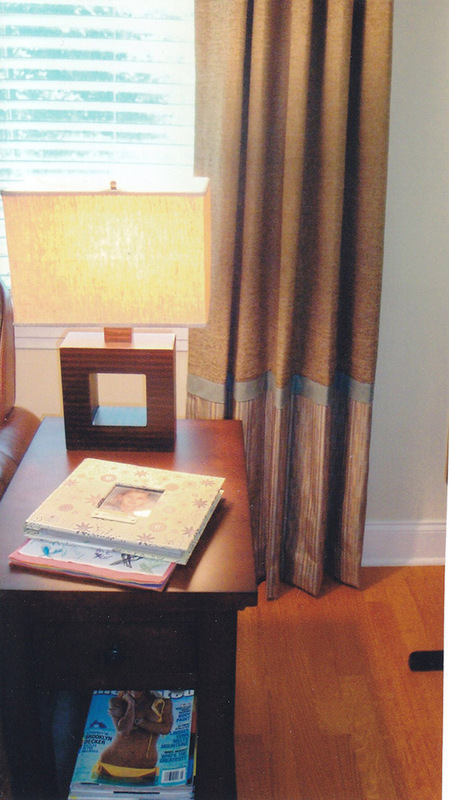 But now select three fabrics instead of just one—a textured solid, a contemporary print, and then an accent fabric. 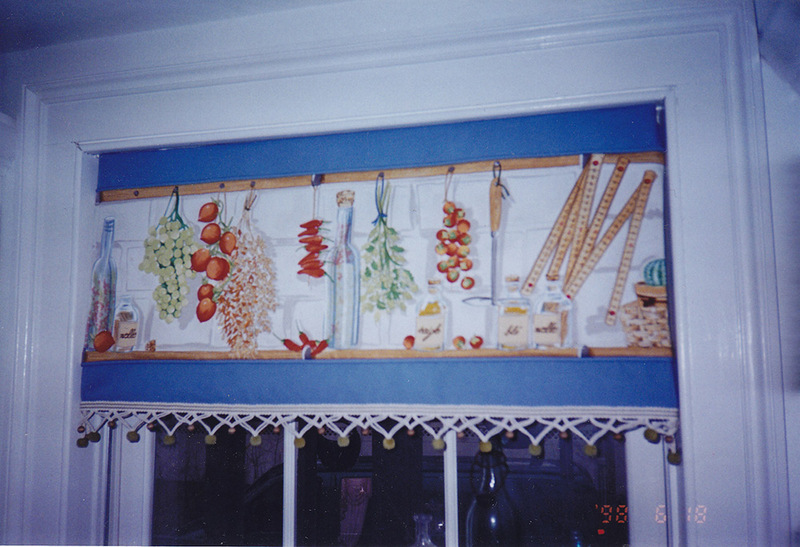 Hang them on a one-inch wrought iron pole with rings. 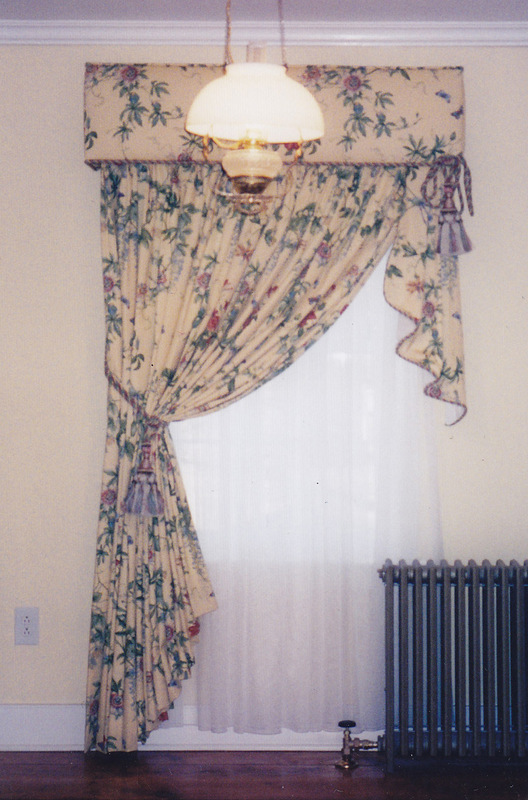 Make the pinch pleats a bit smaller (2 inches instead of 4), and you’ve just changed the style from your grandmother’s living room to your own contemporary treatment. 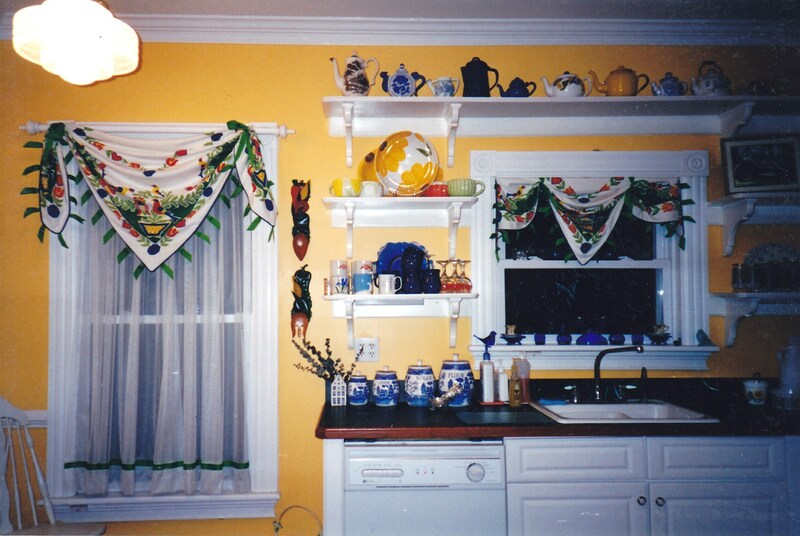 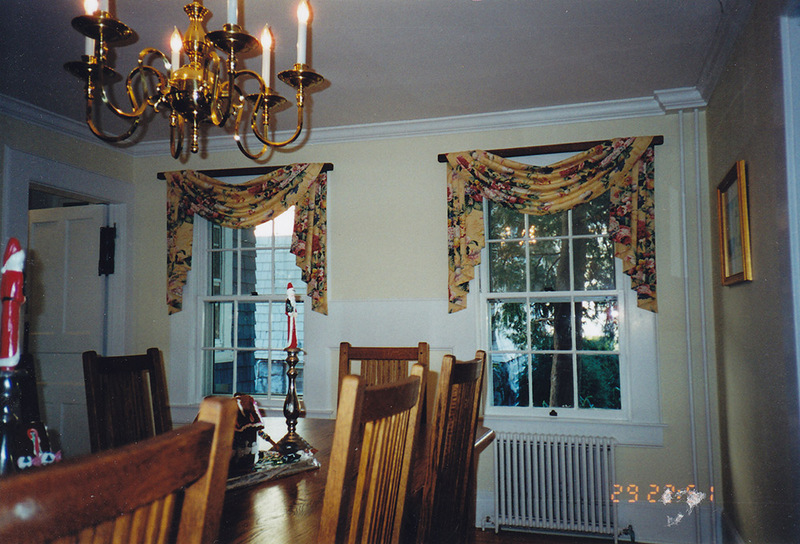 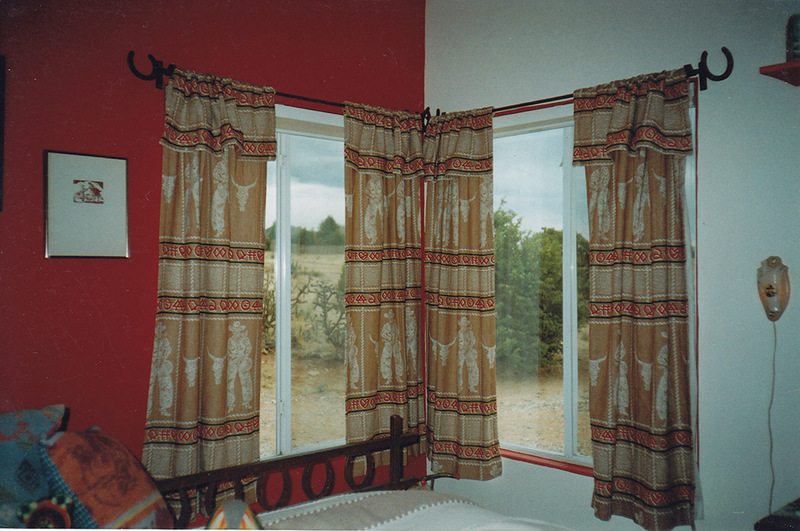 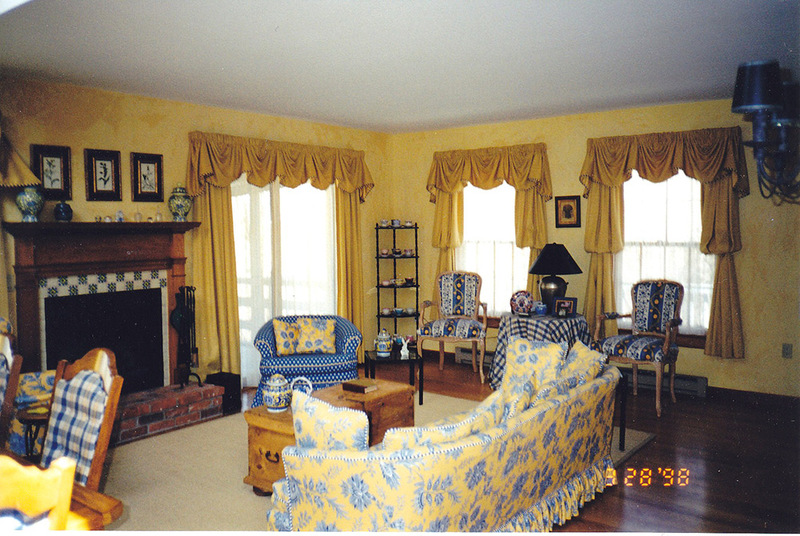 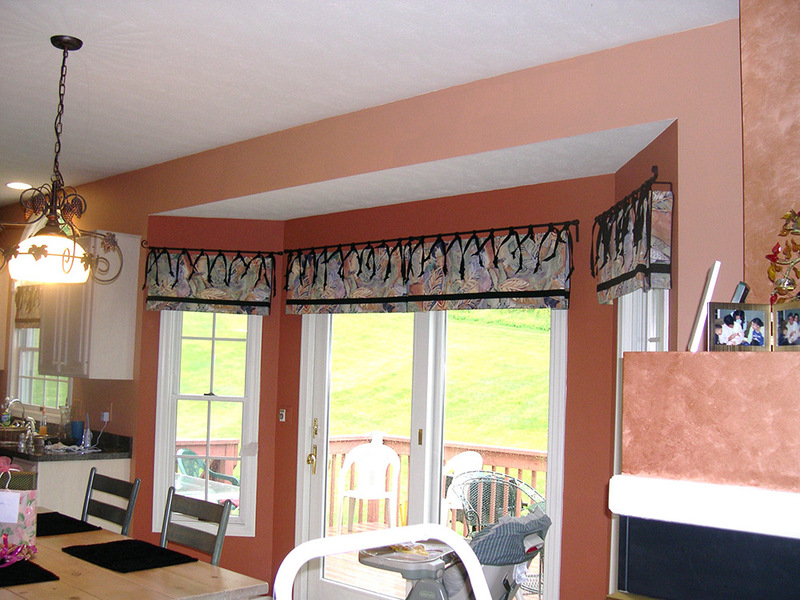 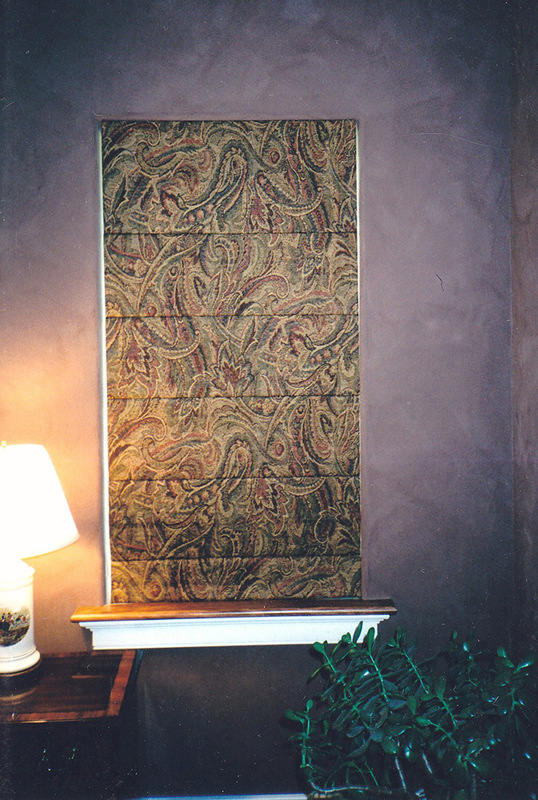 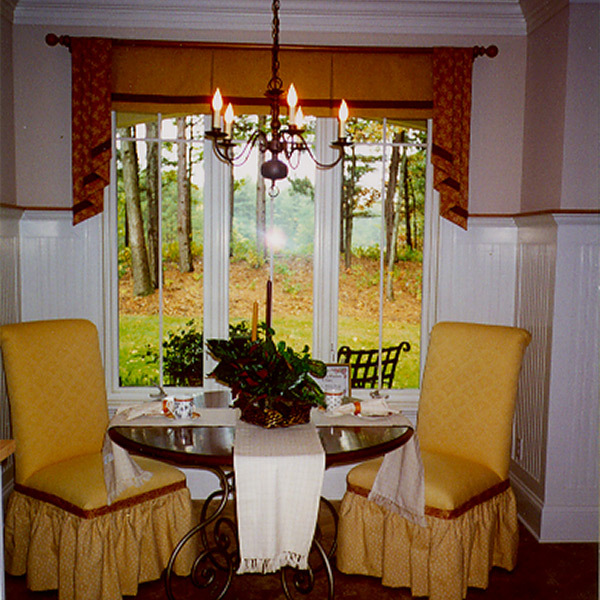 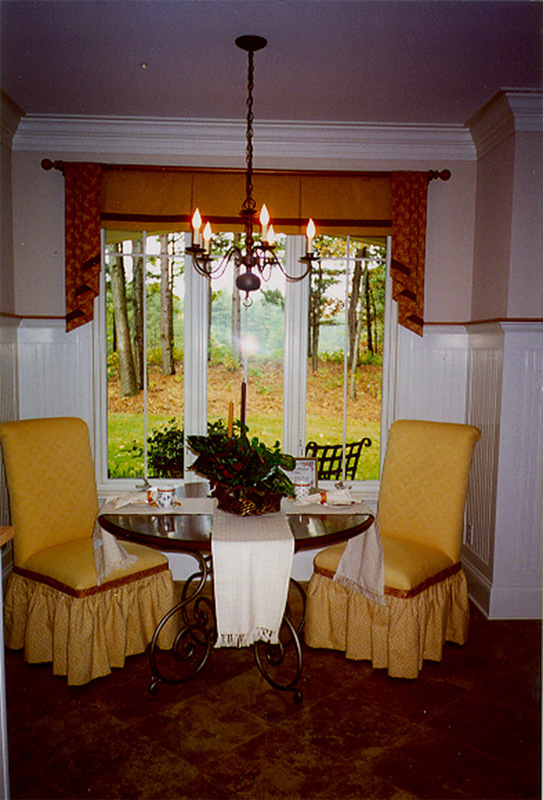 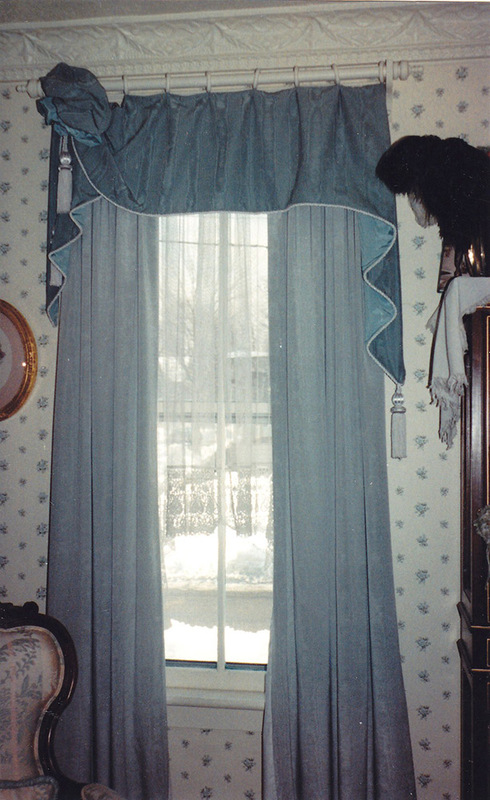 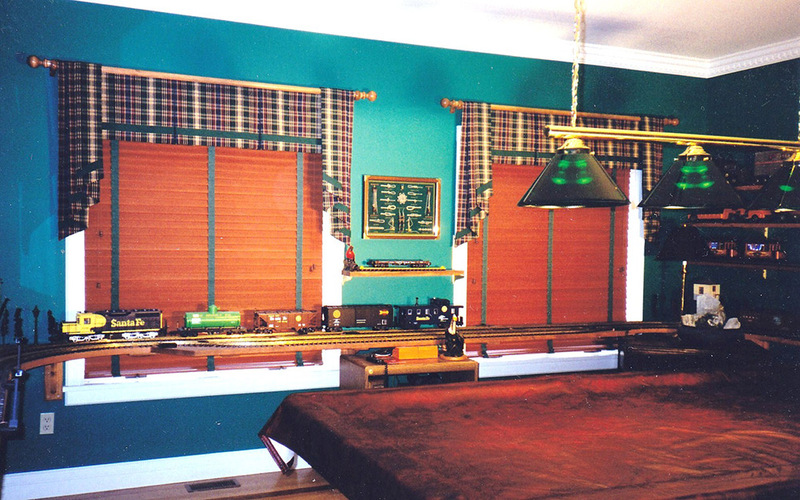 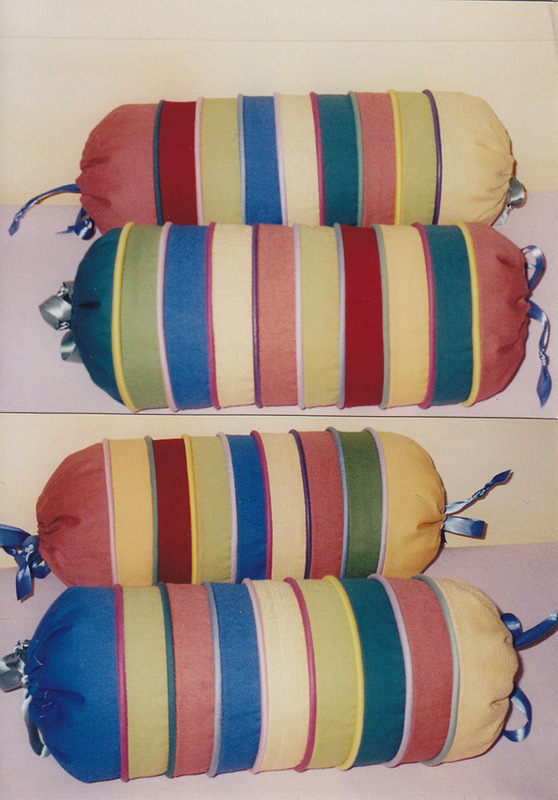 This technique is called color blocking and it transforms ordinary, traditional drapery panels into extraordinary, contemporary window treatments. 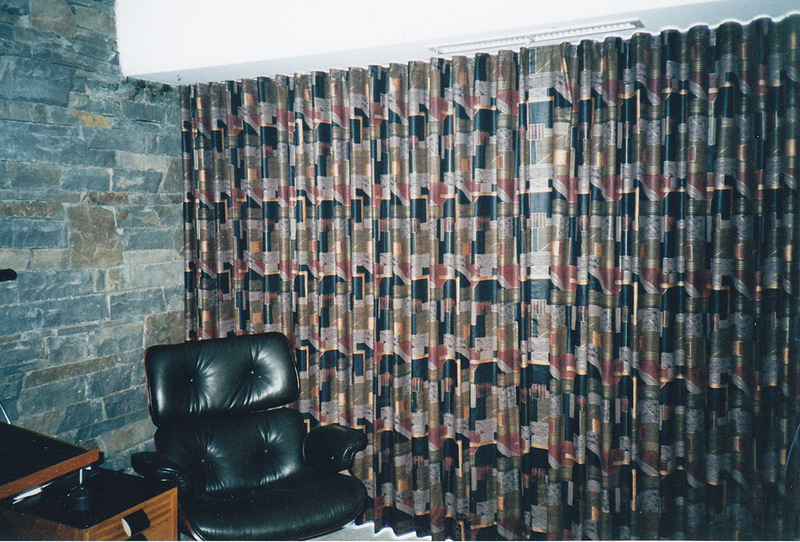 The basic shape of the pinch-pleat drape remains, but everything else has changed the style.